We provide well-informed data and perspectives to leaders across the state. Colorado consistently ranks as one of the healthiest states in the country, but that’s not an achievement when so many Coloradans are facing real health challenges that often stem from a lack of equitable and quality health care. To fix this, our state leaders need well-informed data and perspectives, connections to Coloradans affected by these issues every day, and to work together to advocate for changes that improve the lives of their constituents. Our work is based on comprehensive quantitative and qualitative research and information-gathering, which ensures that those entrusted with making decisions on behalf of us all are more aligned with the real needs and priorities of Coloradans. 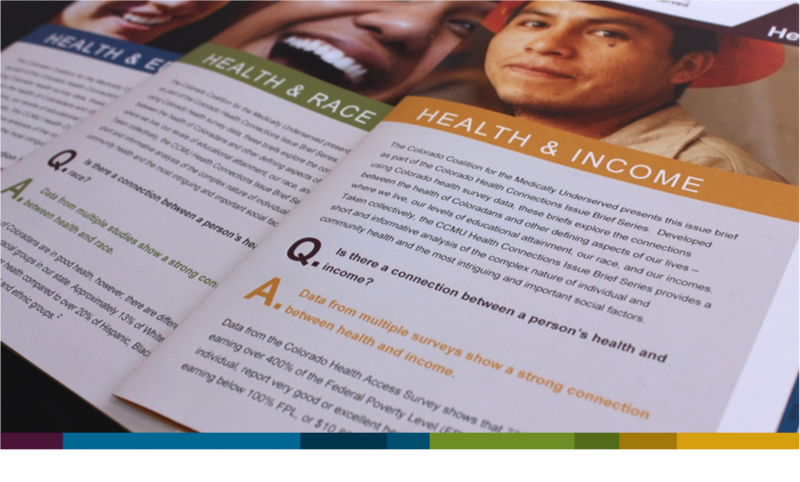 Since 1997, Center for Health Progress has been working to create opportunities and eliminate barriers to health equity for Coloradans. We have been honored to work alongside some of Colorado’s most influential leaders, and we’ve helped Colorado make big steps toward ensuring our health care system works for everyone. Throughout it all, we have been a home for those who are passionate about and dedicated to creating justice and equity in our health care system. For more information, please contact our Director of Communications, Sarah McAfee.